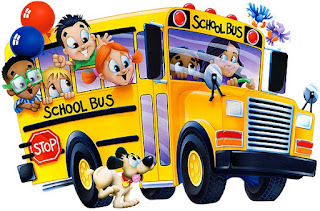 Whether you home school or public school or private school, I have rounded up some of the best products to help you and your kids get back on track! School starts even sooner for us this year (our co-op meets back on August 15th!) so it's just about time to start planning. 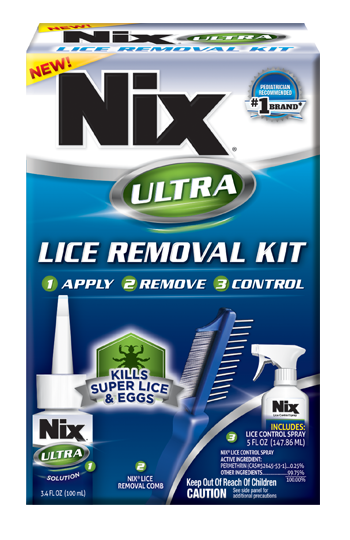 NIX ULTRA® LICE REMOVAL KITNix Ultra® is an easy-to-use over-the-counter kit that safely kills both traditional and super lice, as well as their eggs (nits), and can be found at drug, food and mass merchandisers across the country for $17.99 - $24.99, a fraction of the price of professional services, prescription products or other remedies. It contains pesticide-free Nix Ultra® solution for treating hair and scalp; the Nix® Lice Removal Comb for removing nits and lice; and Nix® Lice Control Spray for household items that cannot be laundered or dry cleaned. 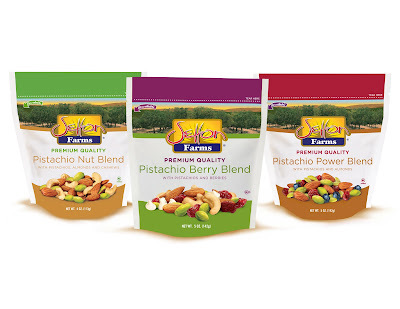 With the endless label reading and the careful research that goes into caring for a child’s peanut allergy, finding a yummy but safe snack can be a difficult process. 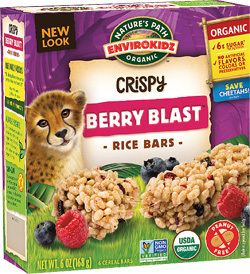 Put your mind to rest with the help of the delicious, yet nutritious Envirokidz Bars from Nature’s Path. Home schoolers go through a lot of ink. I have always had an inkjet printer, and get frustrated when I run out, especially when I have to either pay way too much for a new cartridge from the store, or wait for a discounted one in the mail. 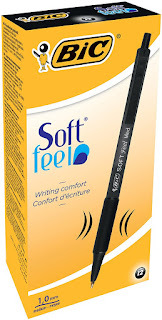 Recently, I was invited to try Cartridge World, and it's such an amazing difference! They have in stock ready to go cartridges that have been refilled at up to 30% off the regular retail price. If you are not sure where a Cartridge World is around you, check here. FriXion ColorSticks erasable pens — Available in 10 vibrant colors, FriXion ColorSticks provide a fun and innovative way to write smoothly and erase cleanly using Pilot's thermo-sensitive erasable ink — to-do lists, brainstorms and planners will never be the same. 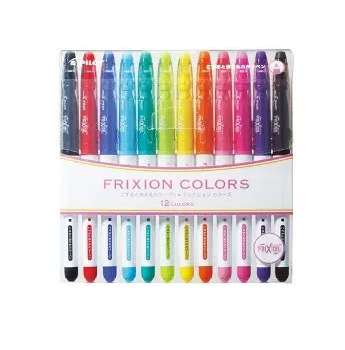 FriXion ColorSticks look, feel and erase like a traditional pencil, but are actually gel ink pens. FriXion Colors erasable marker pens — Students and parents alike can unleash their creativity with the new FriXion Colors erasable bold point marker pens — the newest innovation in marker pen technology! 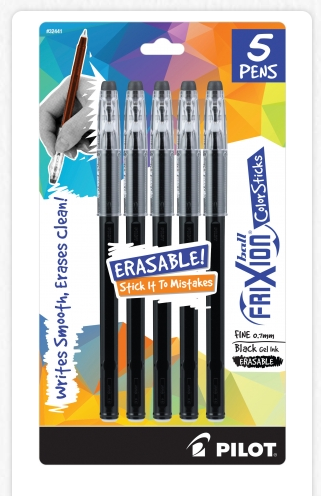 Whether writing, drawing, coloring or organizing, add a touch of creativity and style to your everyday tasks with this unique thermo-sensitive, erasable ink available in a variety of fun and fresh colors. 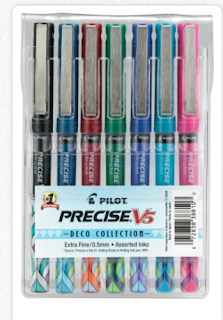 Precise Deco Collection — Perfect for anyone looking to make a statement with their supplies, Pilot's Precise Deco Collection pens feature the rich colors, bold shapes and exuberant style of the Art Deco era. 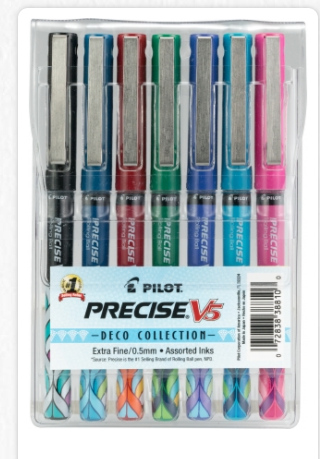 With its lavish design and exceptionally smooth, comfortable writing experience the newest members of the Precise V5 family are both an accessory and tool for writing perfection. Kid Tested, Parent Approved: Gold Toe’s Kid Collections serve double duty, as they not only look fashionable but they also feature an EZ MATCH® sizing system — ideal for households with multiple children. Hate doing laundry? 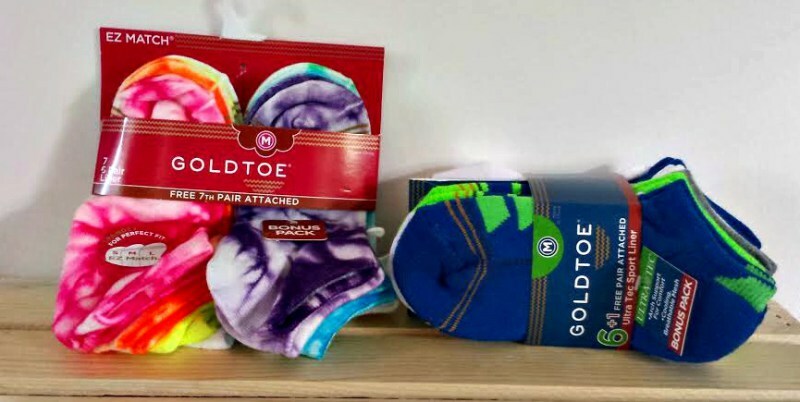 We’ve got you covered: the number of gold rings on the toe indicate each sock size, alleviating the stress and hassle of mismatching your kids’ socks in the laundry. The Brita Stream is great for those going off to College, or for moms who want to make sure the kids always had fresh, clean, filtered water available. 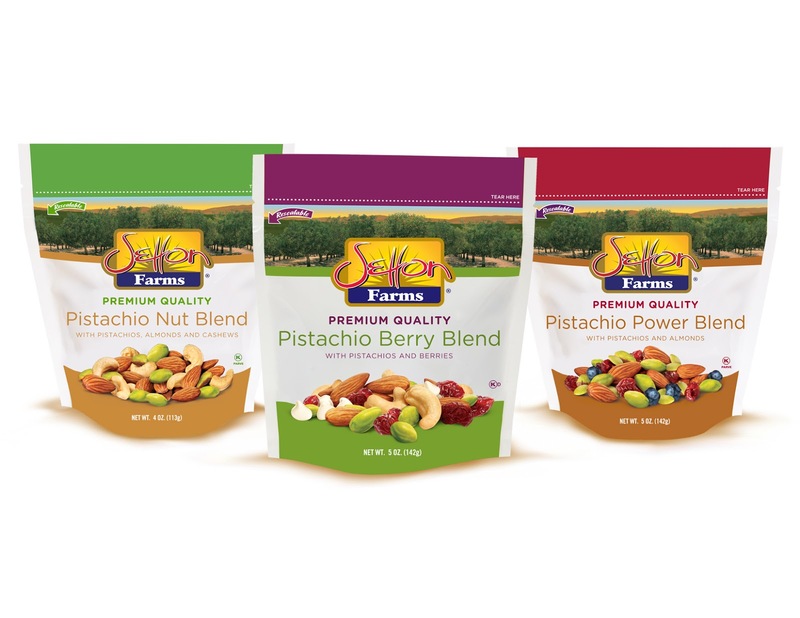 These delicious blends take our family’s best tasting premium quality California pistachios and combines them with dried fruits and freshly roasted nuts for unique combinations sure to please. Lice Clinics of America, the nation's largest network of head lice removal clinics, has recently launched a new at-home product to make life easier for parents. When the dreaded letter comes home from the school nurse informing parents of a lice infestation, most start to freak out. But now when lice hits home, don't be worried! The same process that is proven to be the only cure to super lice, which is also used in the clinics, is now available in the comfort of your own home. The Lice Remover Kit (LRK) is an alternative to OTC products and shampoos, as it uses a pesticide-free liquid gel to remove head lice and their eggs—all with no mess. (And no harsh scent!). 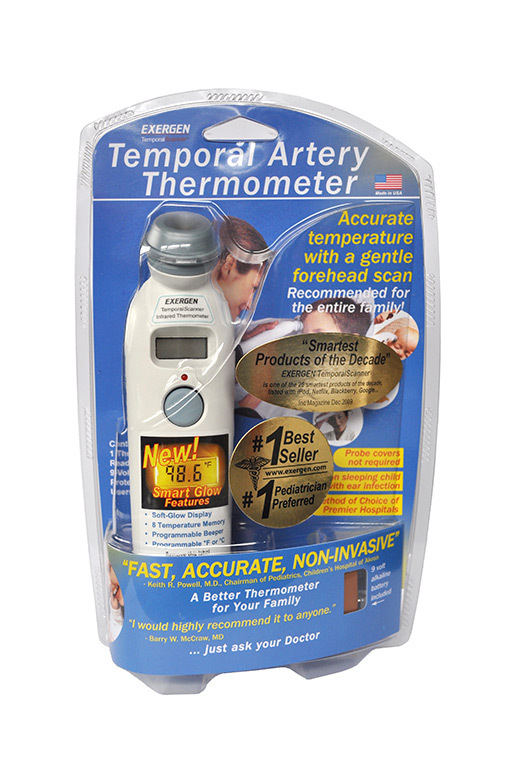 The Exergen Smart Glow TemporalScanner™ thermometer is perfect for parents with kids of all ages going back to school. 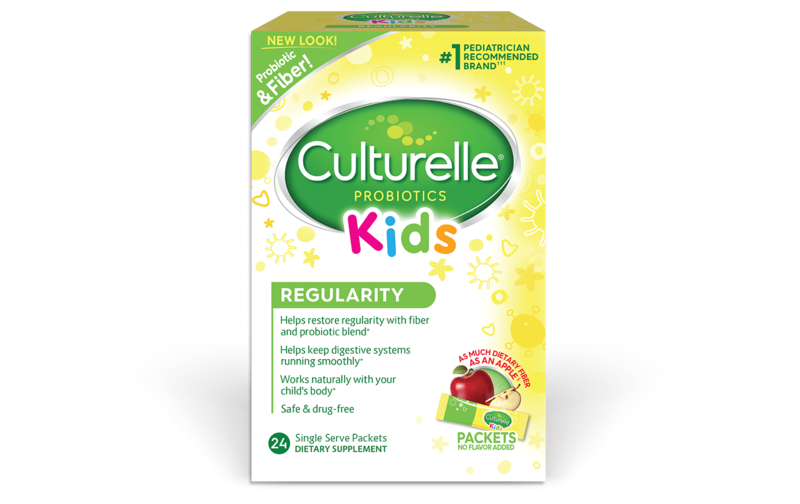 It helps ease stress for parents who need to care for a sick child, as going back to school often means exposure to new germs and illnesses. Made in the United States, the Exergen Smart Glow TemporalScanner™ is the number one preferred thermometer by both nurses and pediatricians, and is backed by more than 70 clinical studies proving its accuracy. Sold in major retailers including Wal-Mart, Target, Walgreens, Rite Aid, Costco, Babies “R” Us, Toys “R” Us, Kroger and BJ’s, the Smart Glow thermometer’s suggested retail price is $49.99. To see real moms testing the Smart Glow thermometer and demonstrating the new features visit www.exergensmartglowthermometer.com. 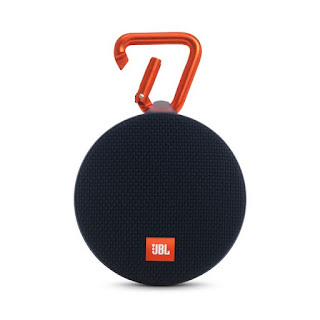 The JBL Clip 2 is a great portable speaker to clip onto your backpack and have handy wherever you go. I am using mine for speech class with my oldest son. I told him to pair his microphone up to it before class, and he is ready to go! dbest products -- This Shark Tank company is the maker of everything from the Smart Cart to the Jolly Trolley. Their containers are designed for bringing in everything from a Costco run to fully moving your house (and yes, this is moving season....even I am doing it!). Found in everywhere from Bed Bath and Beyond to Target, these high quality, stair climbing, scene stealing carts can't be beat! They even have some that are specifically designed to go up and down stairs! This is a must have for the kids who are in dorms because what do they do best but bring their clothes home for mom to do. dbest holds all your laundry, along with groceries that they also might need to purchase to survive living without mom and dad. Check out all the great options by visiting dbest here. 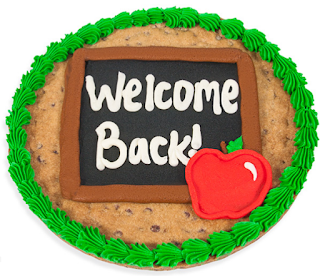 If you want an A+ for effort, cuteness, and deliciousness, then this brand new gift is the one to give the student in your life and maybe even the parents of that student. This 12-inch chocolate chip cookie cake, decorated with vanilla frosting, has more than enough sweetness to share with family, friends and even some neighbors. The design is also very inviting and nostalgic. You can even purchase and have it delivered by tomorrow! 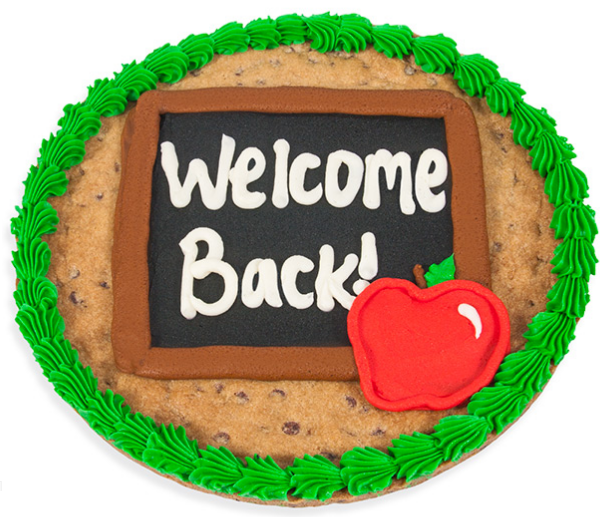 Did you send someone off to college this year? Let them know you are thinking of them with our sweet Back to School Bear Hug care package. 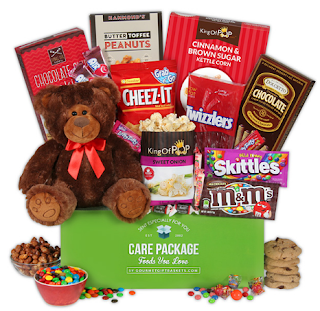 With a soft and cuddly teddy bear perfect for snuggling, we've also brought everyone's favorite classic candies and some of our most loved gourmet popcorn flavors to create a care package that will brighten anyone's day! Send some snacking love and a bear hug today. This product is for the moms! Especially those with me on the Home School train. We need our coffee, like, yesterday. I love the Karuna Boost Coffee Infusion. Not only does it give me the boost I need to get through my long day teaching, but it has some good stuff too. Made with fair-trade coffee beans, Karuna Boost is crafted to give you just the right amount of natural energy to kickstart your day. With no added sugar, these eco-friendly, plant-based coffee drinks are naturally sweetened with Chinese dates leftover from our Karuna Hydrate beverages, as an embodiment of Karuna’s mindfulness and philosophy. Karuna products are also available in Heal, Fuel and Hydrate. 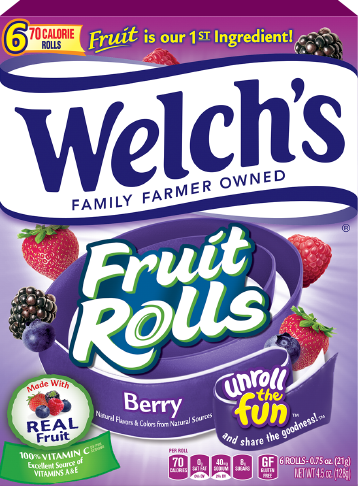 Welch’s Fruit Rolls deliver the same quality consumers love in Welch’s Fruit Snacks, in a new, irresistibly fun format. 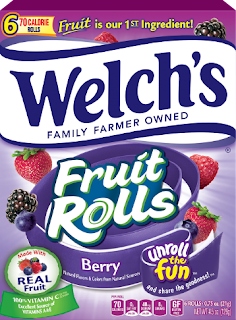 Featuring fruit as its first ingredient, they come in three mouthwatering flavors: Berry, Tropical Punch, and White Grape Strawberry. The Little Kernel is a miniature popcorn brand with a unique, hulless, “miniature kernel.” Popped in 100% pure olive oil, each kernel is gluten-free, non-GMO, dairy-free, kosher and certified whole grain. I can't tell you how many days we rush off to our co-op without breakfast. I love knowing that I can stop at any convenience store and grab something quick and yummy from Otis Spunkmeyer. 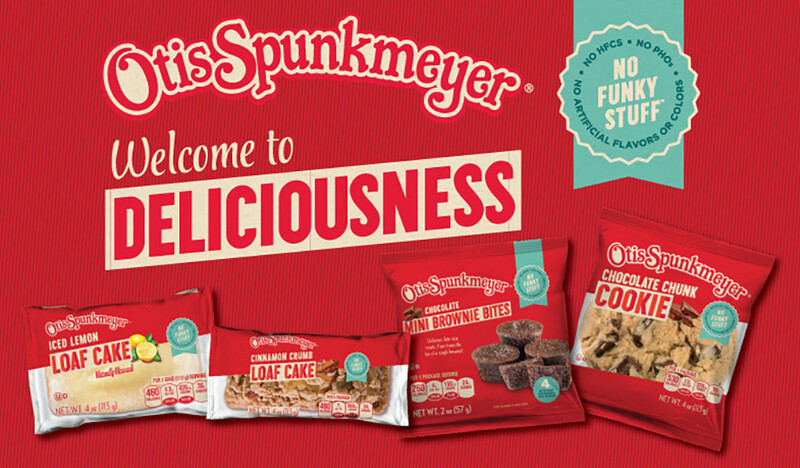 When we set out to make our snacks, we didn't just add deliciousness. We also removed the partially hydrogenated oils, high fructose corn syrup, and artificial colors and flavors you'll find in some other snacks. 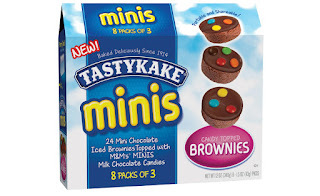 In Flavors like Lemon Loaf Cake, Chocolate Chunk Cookie, Chocolate Mini Brownie Bites and Cinnamon Crumb Loaf Cake, I know there will be something for everyone! 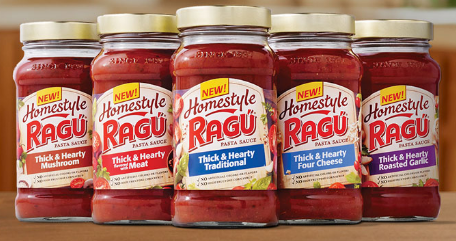 RAGÚ is celebrating 80 years of bringing families together for pasta night, and makes a great dinner everyone will love, especially the kids! From traditional pasta recipes to new favorites, a RAGÚ dinner sets the stage for families to talk about all their exciting back to school stories. RAGÚ’s new Homestyle line has several delicious sauce styles your readers might be interested in like Mushroom, Meat, Traditional, Roasted Garlic and Four Cheese. Here’s a link where you can learn more about the Homestyle sauces. It’s no secret most kids aren't drinking enough fluids, leaving them dehydrated. Further, one-quarter of a broad cross-section of children ages 6 to 19 don't drink any water as part of their fluid intake. Leading nutritionists like Nutrition Stripped author McKel Hill and fitness experts including Biggest Loser’s former trainer Kim Lyons swear by rehydrating products like True Citrus—a unique line of crystallized, clean-labeled lemonades and limeades—that make drinking water taste better, especially for kids. True Citrus lemonades and limeades come in a variety of flavors that are sure to please any picky palate -- think raspberry lemonade, black cherry limeade, mango orange, watermelon aqua fresca, and more. And the convenient, single serve packets make them easy to pack with lunch. True Citrus is available online and in 37,000 stores nationwide. 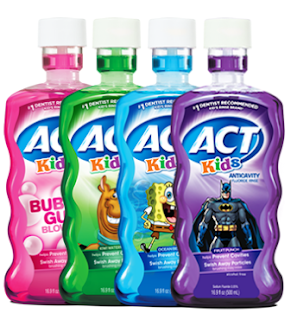 Delicious & Fun: ACT® Anticavity Fluoride Rinse is available in great tasting flavors developed just for kids! 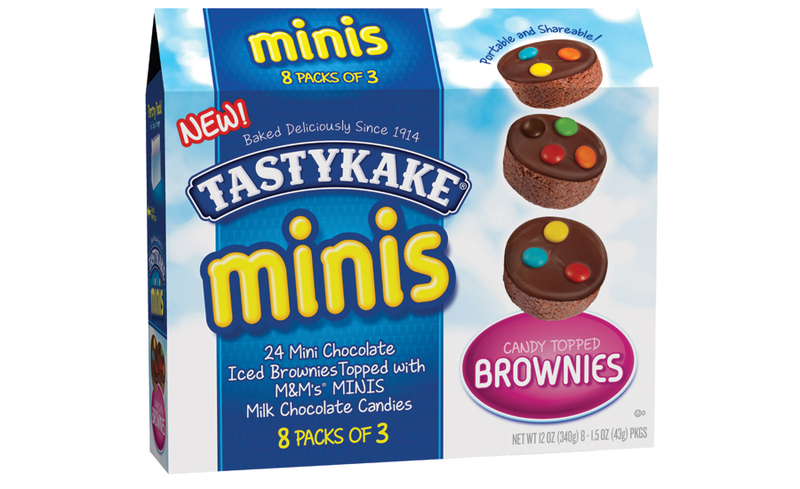 Kids love the way it tastes, and you’ll love knowing that they’re using a great cavity-fighting tool. Up to 40% Fewer Cavities: ACT® Anticavity Kids Rinses are proven effective in reducing children’s cavities up to 40% more than brushing with a fluoride toothpaste alone 1, while strengthening their pearly whites up to 3X harder. Maximum Fluoride: Every ACT® Anticavity Kids formula provides maximum fluoride in a convenient 1-time-a-day formula! Just 60 seconds a day and they’re done! Exact Dosage Meter: Our easy to use dosage meter puts kids in control of the experience – it’s fun to use but also helps minimize the mess and gives an exact 10ml dosage every time. ACT Kids anticavity fluoride rinses can be purchased at your local retail stores. 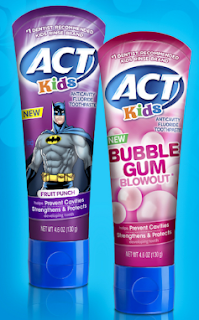 ACT Kids Fluoride Toothpaste, Bubblegum Flavor, Helps prevent cavities, Strengthens and Protects developing teeth. Now in Fruit Punch. Can also be found at your local retail store. 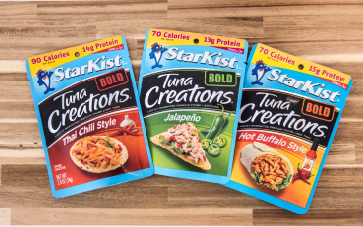 Starkist Pouches are going to me by new BFF this year. Now that both kids have jumped on the tuna bandwagon, it's going to make our lunchtime so much easier. My plan is to pack some lettuce, mayo packets and tortillas, along with a few pouches of the Tuna Creations. Lunch at our homeschool co-op is going to be a breeze! The pouches are available in 12 different varieties! 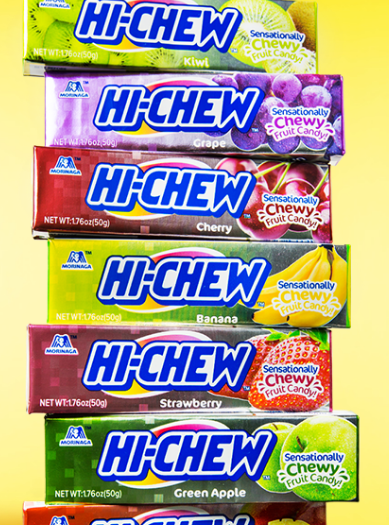 When the kids want candy in their lunch boxes, but you also don't want to load them up with everything unhealthy, grab a pack of Hi-Chew. 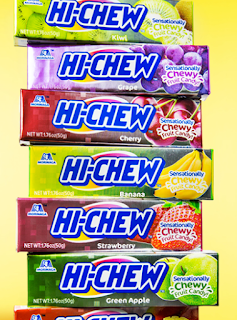 Made with real fruit juice, and just the right amount of chew, these treats are perfect. I stick 2 pieces in with my kids lunch and they are satisfied! 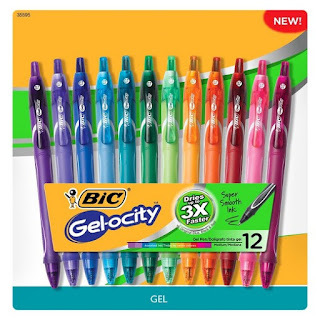 BIC’s fastest drying retractable gel pen, Gel-ocity, is now available in a range of bright, fun colors. 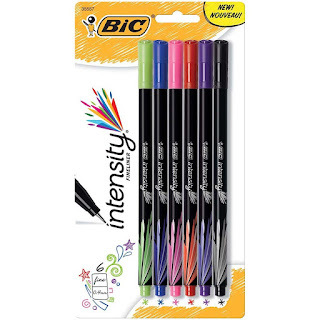 The BIC Velocity pencil features a soft gel grip that molds to your hand and provides smooth, dark writing. 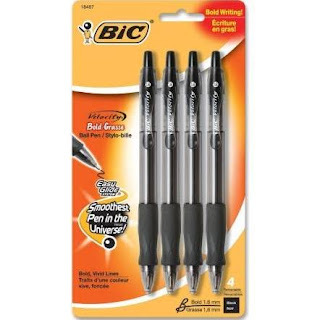 The BIC Velocity also has a 75% larger eraser for more erasing power. 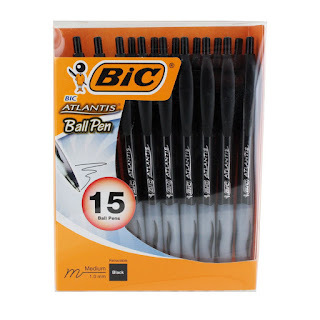 The well-known BIC 4-Color is now available with 3 inks + 1 pencil. 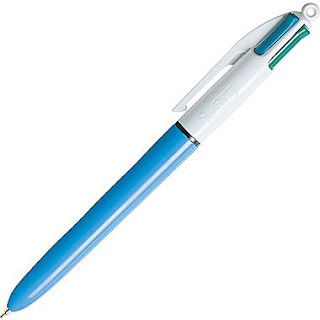 An efficient writing utensil that can allow you to take colorful notes, edit and sketch! 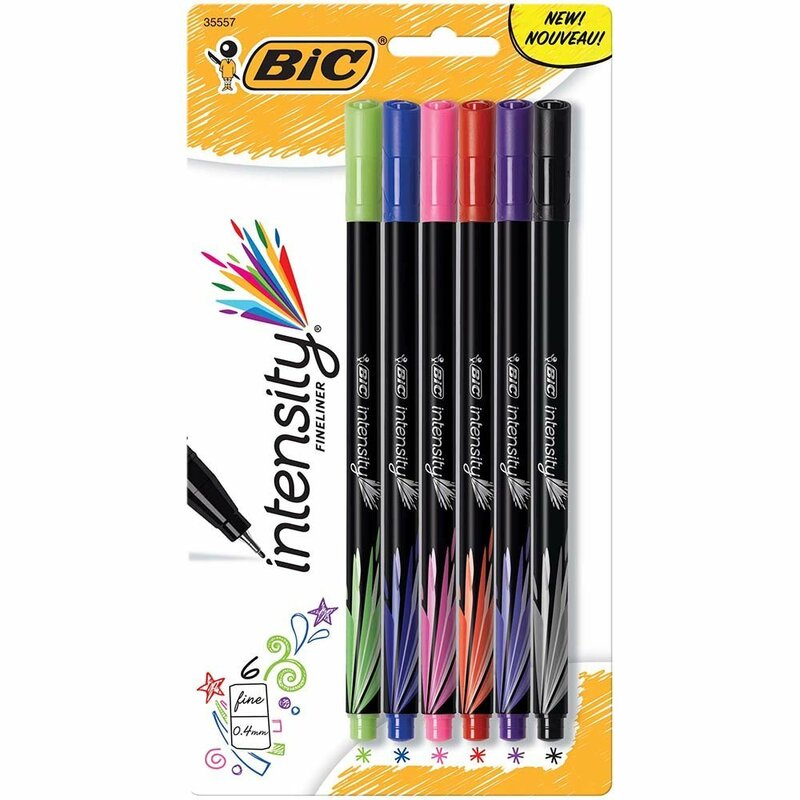 New Intensity Fineliner, is the perfect pen for writing doodling and coloring. The sleek collection is available in a variety of pack sizes and an assortment of colors. 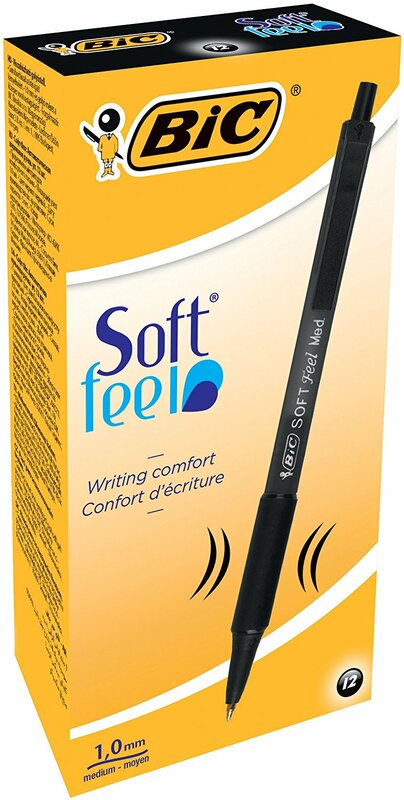 With a soft-feel barrel, the BIC Soft Feel retractable ball pen provides the ultimate writing comfort. Stay stylish with the BIC Atlantis pen that comes in pink or purple that writes in black. 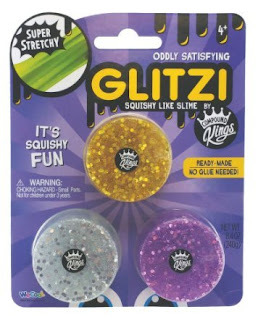 Glitzi is Squishy just like slime! Super Stretchy! 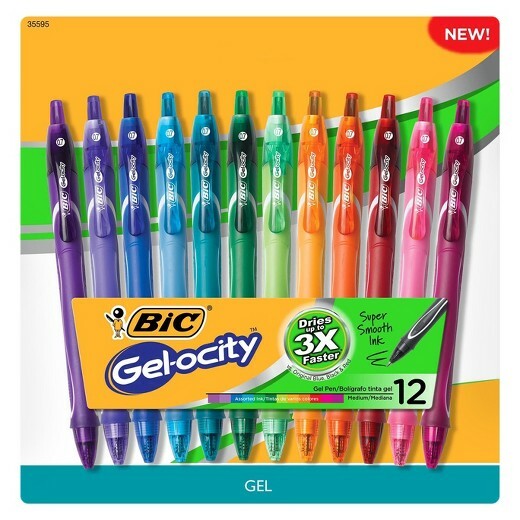 Comes in 3 containers with 3 different colors. 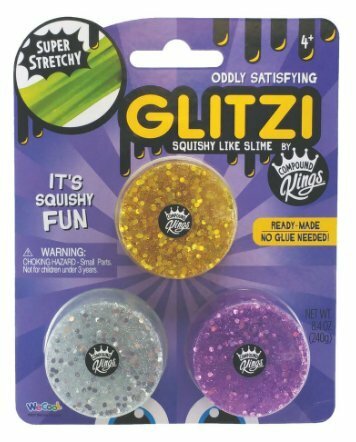 Silver, Purple, and Gold - all with glitter! Ready-Made so No Glue Needed! Stretch It, Squeeze It, Squoosh it! 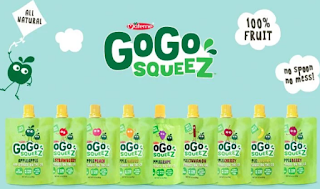 GoGo squeeZ: the no preservative, nut free, no artificial color and gluten-free YogurtZ and applesauce. 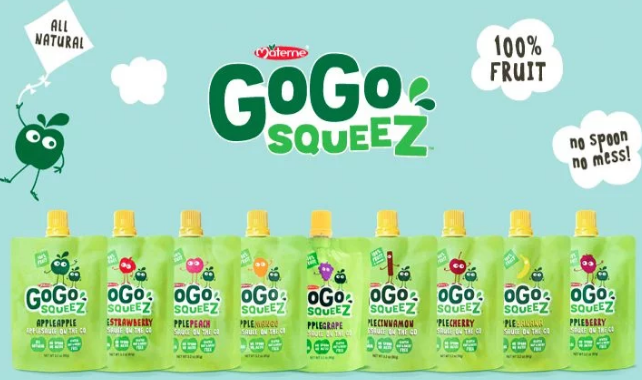 GoGo squeeZ makes YogurtZ and applesauce with only goodness inside, and it’s available in organic flavors, too. 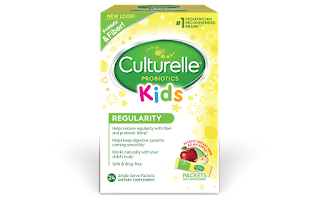 They’re re-closable and squeezable so there’s no mess and they fit into any lunch box or backpack for school! 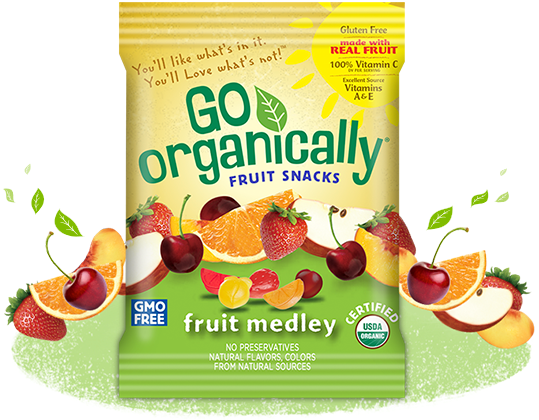 The best part is they require no refrigeration, and they’re nutritious for kids (and parents) on the go. You can find in your local grocery stores.